Based on a patients' gender and BMI, they found important differences in the likely success of the commonly-prescribed drugs sulfonylureas and thiazolidinediones in lowering blood sugar levels, and in the risk of common side effects. 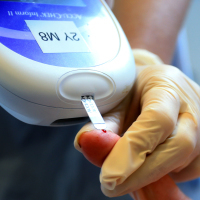 PhD student John Dennis, who led the study, said: "Our findings are important as they provide the first evidence that personalised or 'precision' medicine approaches in diabetes can be based on simple patient characteristics available to any doctor, rather than expensive genetics or other technology. "This simple personalised approach could be implemented immediately within the NHS without any additional cost." At World First we're happy to offer great value, tailored travel insurance whether you have type 1 or type 2 diabetes.